As we mentioned last week, though diet and hygiene are the foundation for good oral health, other factors have an impact, too – factors most people just don’t think about. 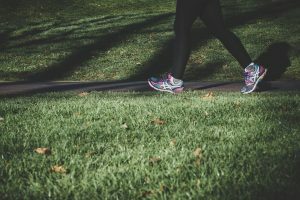 Now, a new study in the Journal of Clinical Periodontology offers some of the latest evidence of the difference a little regular physical activity can make. For the study, researchers used rats to observe how physical activity affected inflammation and behavior in the presence of gum disease. This progressive infection starts with inflammation. The gums grow red, tender, and puffy. They may bleed when you brush and floss. If not treated, this gingivitis progresses to a more severe infection known as periodontitis. At this point, the infection starts to damage the bone that supports your teeth. Your teeth become loose. Your dentist may recommend extracting them before they pop out on their own, having so little support. Tooth loss is the ultimate consequence of periodontal disease. One thing that makes it especially pernicious is that it develops in hard-to-clean areas of the mouth. 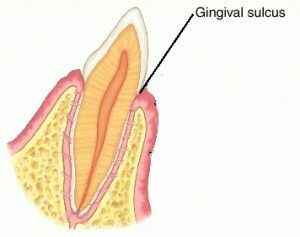 It develops under the gumline, in the sulci – “pockets” between the teeth and gums. Those pockets are perfect harbors for harmful bacteria: dark, moist, remote, and low oxygen. Most Americans – up to 75% – have some degree of gum disease. The good news? In its early stages, it’s reversible. And it’s largely preventable. So back to those rats. For their study, the research team split the rats into groups: with and without gum disease; with and without exercise. At the end of the study period, those that underwent physical training showed less bone and attachment loss and less inflammation. In other words, their gums were healthier than those of the rats that weren’t regularly exercised. Earlier studies have also shown a relationship between physical activity and periodontal health. For instance, one 2005 study identified exercise as one of three “health-enhancing behaviors” that decreased risk of periodontitis. The others? Maintaining a normal weight and having a high quality diet. Another study by the same lead author and drawing from the same NHANES-III data likewise showed less prevalence of severe gum disease. In this case, they focused on adult participants who’d had a perio exam and reported similar physical activity or inactivity over at least 10 years. These results suggest that engaging in the recommended level of exercise is associated with lower periodontitis prevalence, especially among never and former smokers. In fact, for former smokers, disease rates were 74% lower among those who were physically active. Among never-smokers, the decrease was about 54%. A later study of 1160 Japanese adults likewise found that gum disease was least likely among those who were the most physically fit and those who were least obese. This study suggests that obesity and physical fitness may have some interactive effect on periodontal health status. That obesity plays a role here is no surprise. We’ve long observed that perio problems tend to be more common among the obese, as well as those who are diabetic. Notably, like gum disease, both of these conditions are marked by chronic inflammation – as are all of the other chronic diseases that science has linked to gum health, from heart disease to Alzheimer’s, rheumatoid arthritis to cancer. Exercise has been known to lower the risk of those conditions, too. Just sayin’.